Each April, the U.S. recognizes National Cancer Control Month. Cancer control includes each phase of the fight against cancer: prevention, detection, and treatment. More than 1.7 billion Americans will be diagnosed with cancer this year, and 38.5% (approximately 1 in 2.6) of people in the U.S. are expected to be diagnosed with cancer at some point in their lifetimes. However, the numbers of both new cancer cases and cancer-related deaths per capita have been declining steadily since the early 1990s. In 1975, cancer patients faced an overall relative 5-year survival rate of 48.7%; in 2009, this rate was up to 69.3%. This month, we celebrate the advances made in the fight against cancer and continue to push for progress in cancer prevention, early detection, and effective treatment. We recognize the tremendous difference that cancer control efforts can make in people’s lives and renew our commitment to being part of that difference. The American Cancer Society states that the decline in cigarette smoking has been the single most important factor in reducing cancer deaths. The American perception of smoking has changed dramatically over the past several decades, illustrating that public education can make a profound impact on people’s habits and health. Still, tobacco remains a leading cause of nearly 30% of cancer-related deaths. If you would like help quitting smoking, visit smokefree.gov for free resources. The American Cancer Society (ACS) advises that most adults should aim for a body mass index (BMI) between 18.5 and 24.9. BMI is an estimation of a person’s body fat calculated using height and weight. Bear in mind, however, that BMI does not account for the proportions of bone, muscle, and fat in a person’s body. For more accurate ways to gauge the health of your body composition, see this article from Medical Daily. If you find that you have excess fat to shed, work toward balancing your energy intake (calories consumed) with your energy use (physical activity). The ACS recommends lowering caloric intake by eating smaller portions, limiting snacking, and avoiding foods and drinks that supply few nutrients but are high in calories, fat, and/or sugar (such as sodas, candies, and fried foods). On the other hand, fruits and vegetables, which are known to contain cancer-fighting compounds, should be part of every meal. 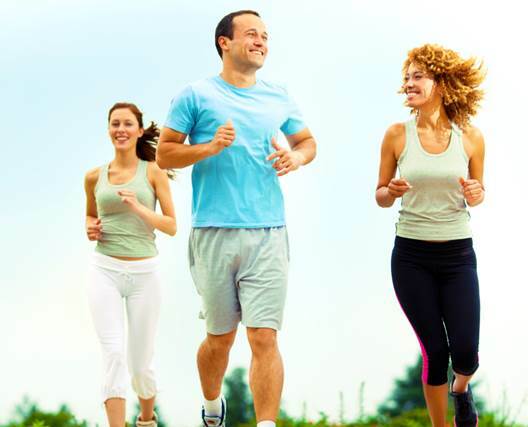 In addition to helping achieve a healthy balance of energy intake and output, exercise is thought to reduce the risk of several types of cancer, including breast, colon, endometrial, and advanced prostate cancers. The ACS recommends that adults get at least 2.5 hours of moderate exercise, 1.25 hours of vigorous exercise, or a combination of these per week. Children should get one to three hours of moderate or vigorous exercise per day, including vigorous activity at least 3 days per week. Even if you’re getting a healthy amount of exercise, it’s still important to avoid excess idleness. The ACS recommends limiting sedentary activities that involve sitting or lying down. Research indicates that a sedentary lifestyle contributes significantly to cancer risk. The ACS advises everyone to follow recommended cancer prevention and screening guidelines. (You can see ACS recommendations for various types of cancer screening here and a joint statement from the Society of Breast Imaging and the American College of Radiology on breast cancer screening here.) Following appropriate screening protocols allows your doctor to identify any developing cancer earlier, increasing the chances of more successful, less invasive treatment. If you’re at higher than average risk for a certain type of cancer, then your doctor may recommend a more robust screening regimen. The ACS states that deaths from colorectal cancers declined 52% between 1970 and 2015, largely due to improvements in screening and treatment. The organization reports that breast cancer death rates fell 39% between 1989 and 2105, attributing this success to advances in screening. Progress in treatments for cancer is also helping to limit the number of cancer deaths each year. The American Society of Clinical Oncology reports that between November 2016 and October 2017, the FDA approved 18 new cancer therapies and 13 new uses for existing therapies. As researchers continue to discover new information about how cancers behave and how to fight them, patients are able to enjoy longer, healthier lives after cancer diagnosis. It is important that we don’t become complacent in the progress we’ve made. Continued research is essential to furthering the substantial progress we’ve made in successfully treating various forms of cancer. 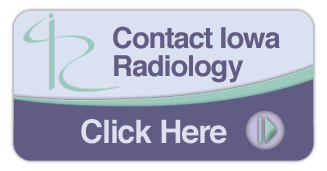 Iowa Radiology provides a wide range of imaging services at our clinics in downtown Des Moines, West Des Moines, Ankeny, and Clive, including 3-D mammography and virtual colonoscopy for early cancer detection. "Facts & Figures 2018: Rate of Deaths From Cancer Continues Decline." Caner.org. American Cancer Society, 4 Jan 2018. Accessed 5 March 2018. "Americans Can Prevent 1/3 of the Most Common Cancers." AICR.org. American Institute for Cancer Research, 2 Sept 2017. Accessed 5 March 2018. "ACS Guidelines for Nutrition and Physical Activity." Cancer.org. American Cancer Society, 13 April 2017. Accessed 5 March 2018. Park, Alice. "Sitting Can Increase Your Risk of Cancer By Up to 66%." Time.com. Time Inc., 16 June 2014. Accessed 5 March 2018. "Advances in Cancer Treatment." ASCO.org. American Society of Clinical Oncology, 1 Feb 2018. Accessed 5 March 2018.